Six-word review: Essays rooted in awareness of place. 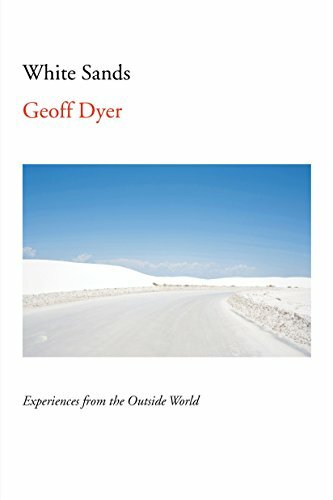 Real-world locations provide a springboard for Dyer's idiosyncratic ruminations on far-ranging subject matter from jazz to hitchhikers, from Egyptian royal statuary to the Watts Towers impressively built by one man's labors with salvaged materials. I love Dyer. But this is not his best. Though very funny in parts. Joy's review: Quirky essays from unusual places that may or may not be mostly true. I enjoyed this light, fun read, but I gotta warn you: most of our Travel book club did not care for Dyer's voice or choice of stories.